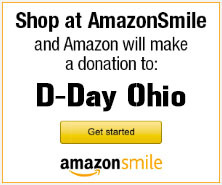 Experience D-Day Conneaut through our eyes & purchase amazing images. Visit our online gallery of event photos captured by our team of volunteer photographers. Order prints or download digital file of your favorite memory from the event. Last year our team posted over 60,000 images. Proceeds from image sales help support this great event. Image showcased are copyrighted images and ARE NOT FREE IMAGES. No Screen Grabbing! For the amateur and professional photographer alike, D-Day Conneaut offers some incredible opportunities to capture long lost images of the past. Where else can you go back in time to capture German troops defending their posts, Allied forces reading for their mass historic invasion of the Coast of Normandy France or Higgins boats filled with GI's landing on the beach? People, boats, planes, tanks, equipment and displays.... there is something for every photog. Grab your gear and join us for what will truly be a unique experience. If you attended the event and would like to share your images with the world, follow the link below to post your images in our public share gallery. This is our preferred method of sharing images. Please refrain from posting large series of images to our Facebook page/group pages. Commercial posting and or linking to for sale images by commercial photographers is not permitted on our Facebook page/groups. 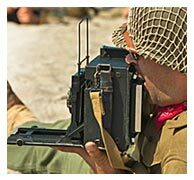 Images for sale via the D-Day Website help support this event. Click below to see how you too can showcase your handiwork to the rest of the world.